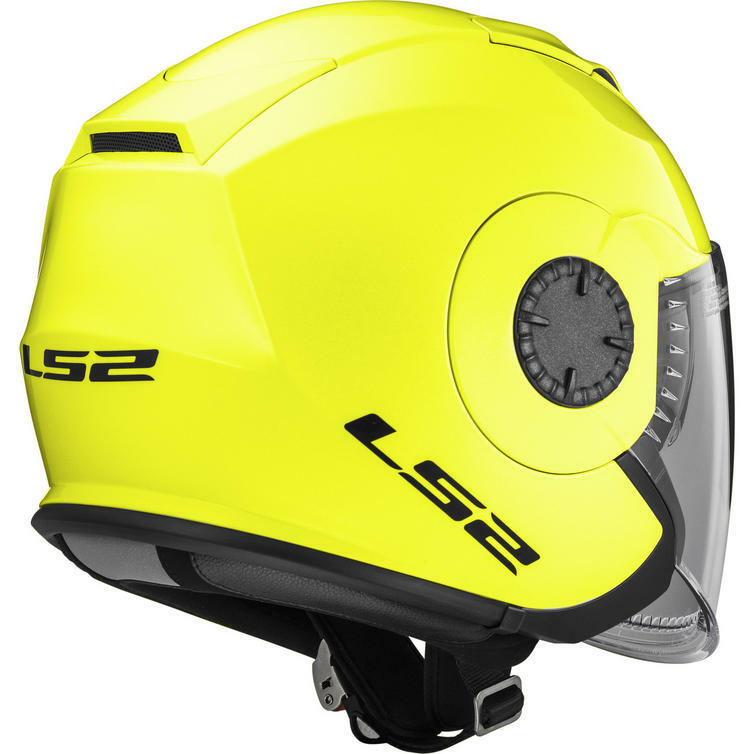 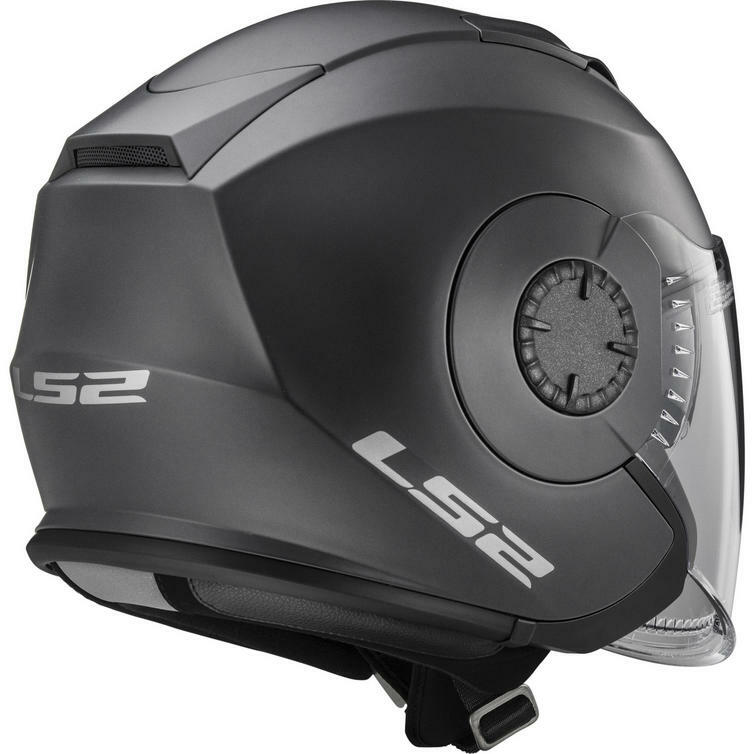 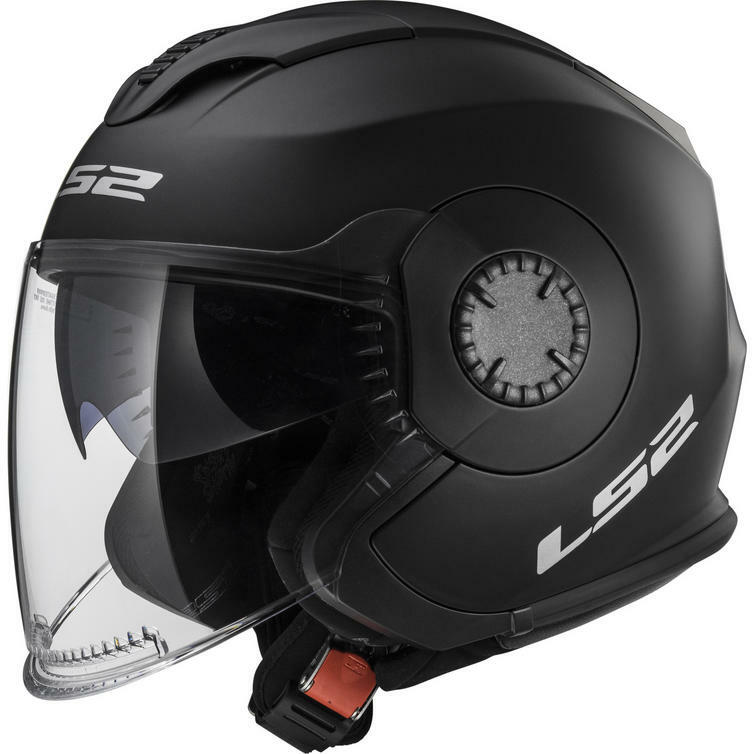 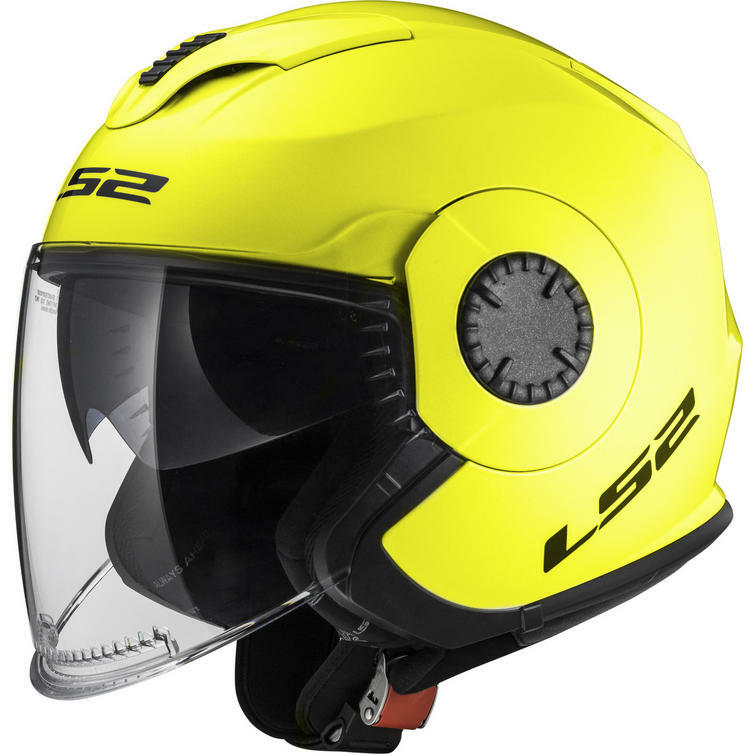 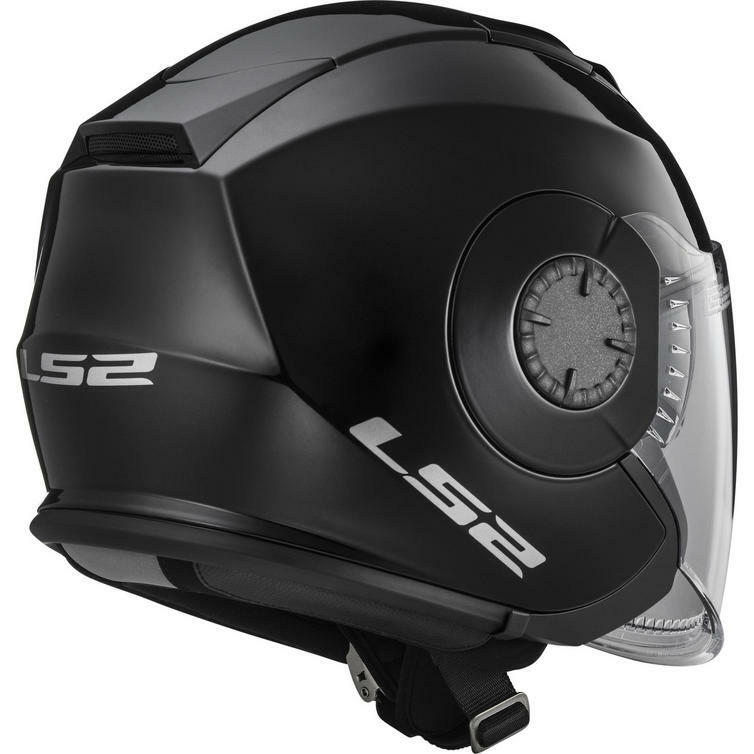 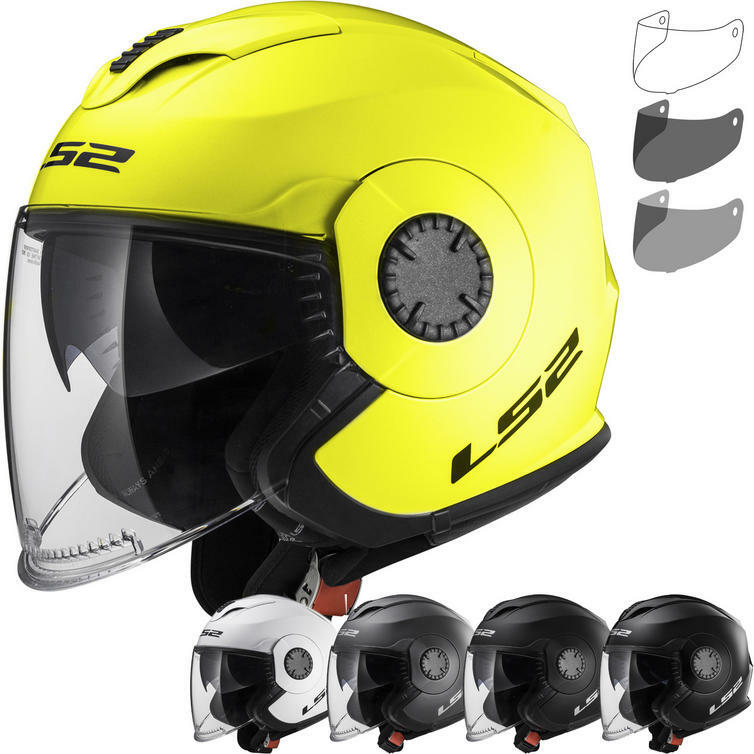 The LS2 OF570 Verso Solid Open Face Motorcycle Helmet & Visor is part of the latest LS2 collection. 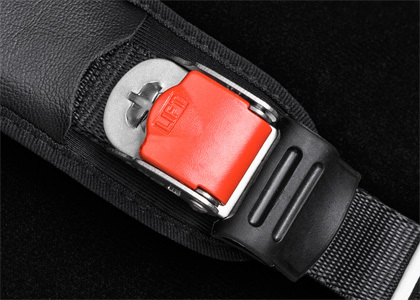 Steel Quick Release Buckle - The metal buckle attaches to a high quality safety strap. 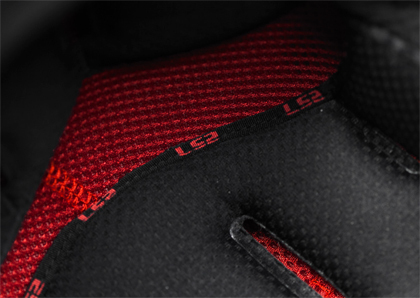 On the other strap is a ribbed plastic tab. 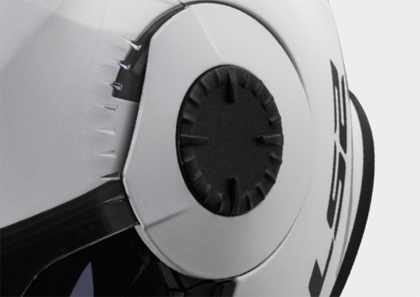 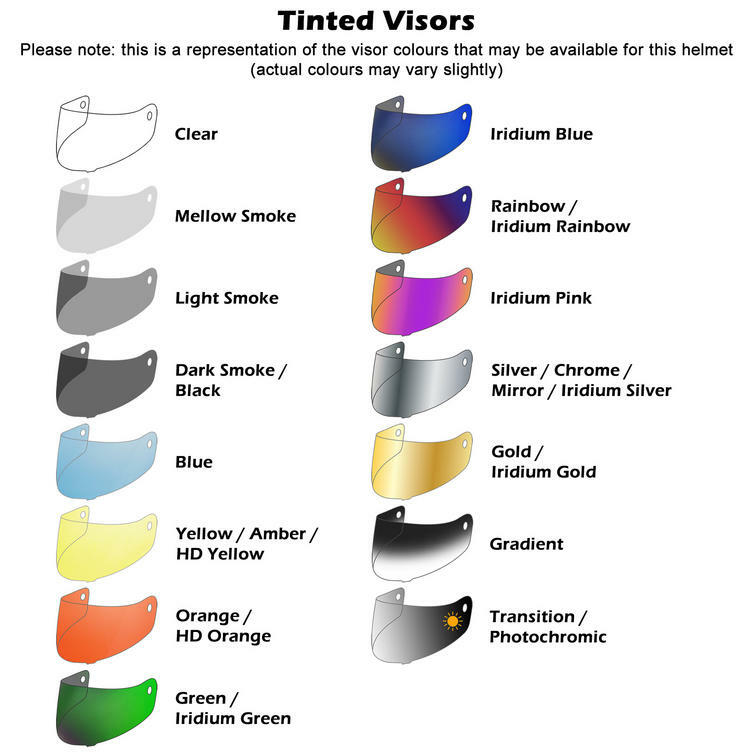 Insert the ribbed plastic tab into the metal buckle. 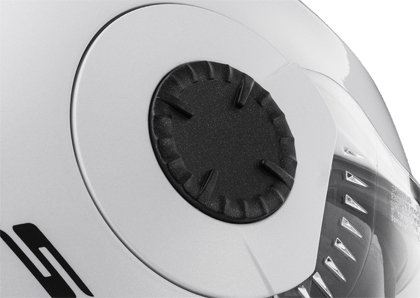 You'll hear a light "clicking" sound. 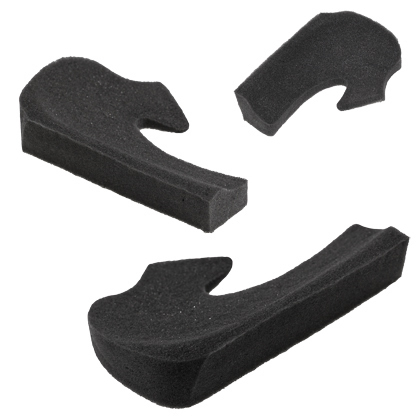 Continue to slide it until you get a comfortable, snug fit. 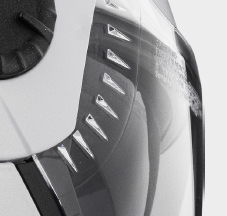 Pull the ribbon on the lever to release.